Since the first Ohioana Book Festival was held with ten authors in 2007, the festival has given readers the opportunity to connect with their favorite Ohio writers. 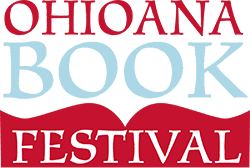 In 2019 we will welcome 150 authors and illustrators to the festival. See below for our exciting schedule for the big day, as well as a calendar of author appearances leading up to the festival! Book Signings 10:30 a.m. – 5:00 p.m.
Visit the Reading Room throughout the day to meet your favorite Ohio authors and get books signed. The Book Loft, our official bookseller, will be running an on-site bookstore throughout the day. Hear your favorite authors talk about their books and their writing process, and ask them questions. *Please note that authors and panels are subject to change. Ohio Sleuths: A discussion about some of the greatest mystery and suspense stories featuring characters from Ohio. Middle Grade Fiction: Some of the best writers of fiction for Middle Grade readers. Debut Fiction: These authors published their first works of fiction in 2018 and 2019. Memoir: Join these writers as they share the stories of their lives and experiences in unique and fascinating ways – from diary entries to poetry to blog posts, a celebration of the ways we write about our lives. Ohio True Crime: A close look at some infamous true Ohio-based crimes and our fascination with those who committed them. Contemporary Fiction: A chat between some of the rising stars of modern fiction writing. The Poet’s Corner: A chat with some of Ohio’s greatest poets. Larger Than Life: From generals and spiritualists to rebellious actors, performers, and musicians, the charismatic men and women profiled by these authors have fascinated not only Americans, but the entire world. Historical Fiction: Captivating fiction based on real time periods and people in history. Food, Music, and Fun Around the Buckeye State: Get some great ideas for fun places to visit, music to enjoy, and food to try from all over Ohio. Contemporary Suspense: Dangerous, page-turning tales of suspense and the authors who write them. Middle Grade Biography: Biographies for Middle Grade readers. YA in the Spotlight: A discussion with some of the best and brightest of Young Adult fiction writers. Mystery series: Grab a cup of tea and a furry friend and enjoy this chat about mystery series. The Creative Life: What does the creative process look like, especially for authors whose works are not “straightforward” written narratives? Talking Sports: An in-depth look at baseball, football, and more. Fantastic Fiction: Exploring horror, the supernatural, urban fantasy, and speculative fiction. Choose to Read Ohio: A discussion between authors and illustrators whose books have been honored by the Choose to Read Ohio program, which spotlights Ohio authors and promotes reading across Ohio and the nation. Ohio Politics: From small towns to the Statehouse, Ohio’s political climate has impacted that of every other state. This panel will discuss a variety of historical and regional political topics. Science is for Everyone! A panel of experts who write for all age groups on space, inventions, archaeology, and more. Check back for programs and activities featuring Ohioana Book Festival authors are free and open to the public and take place before the main event on April 27.